Thank you for your continued cooperation with us. Effective from 1 April 2019, our business name will be changed to PT. SMC AUTOMATION INDONESIA. Was previously known as PT. 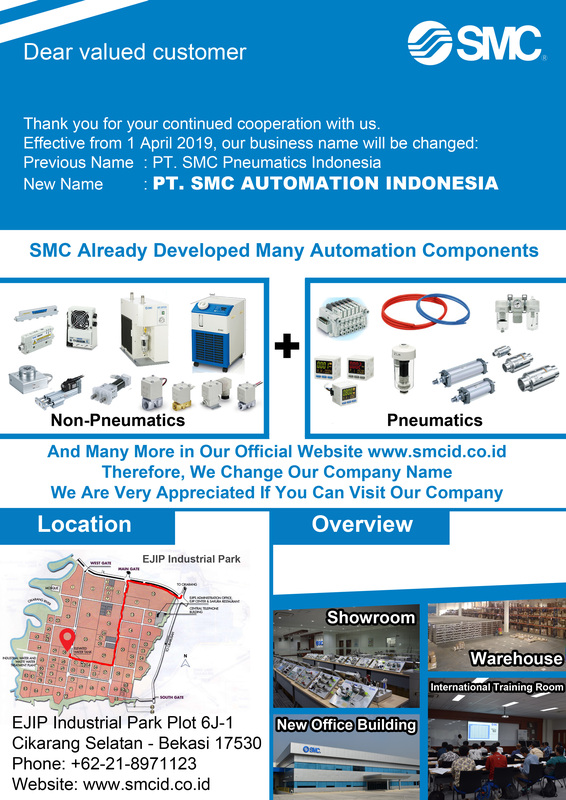 SMC Pneumatics Indonesia. You are cordially invited to our company for plant visit.